With over 25 years of experience in educational travel, Prométour has been called by many the ‘artisan of the student travel industry’. What’s more, with an office in Paris, Prometour is an expert in planning educational student trips to France. That means we don’t do packaged tours–all our travel itineraries are customized by our experienced tour consultants who work one-on-one with you during the entire planning process. This allows for truly unique trips that are aligned both with your educational & recreational goals–and also within your available budget. 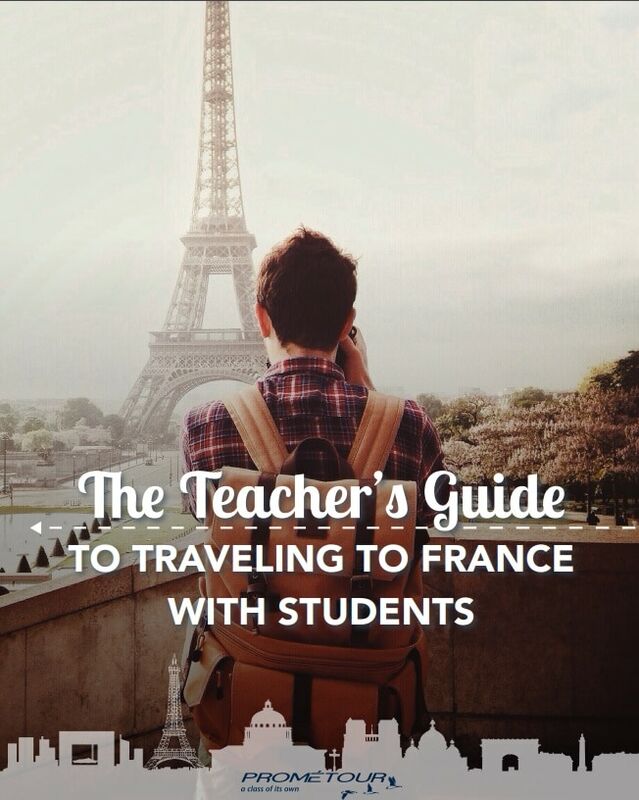 France is a popular travel destination for teachers & students alike thanks to its authentic French experience and breathtaking tourist attractions. There’s no better way to have your students learn the French language than to have them learn it firsthand among the locals. If you want to immerse your students in the French culture, there’s no better way than to visit France and experience it firsthand among the locals! See what France has to offer. Fill out the form below and have a free copy of this guide delivered straight to your inbox.